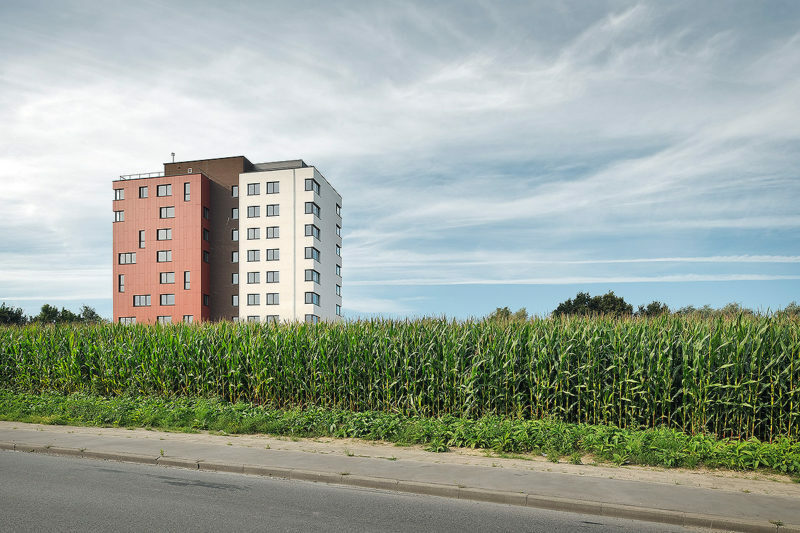 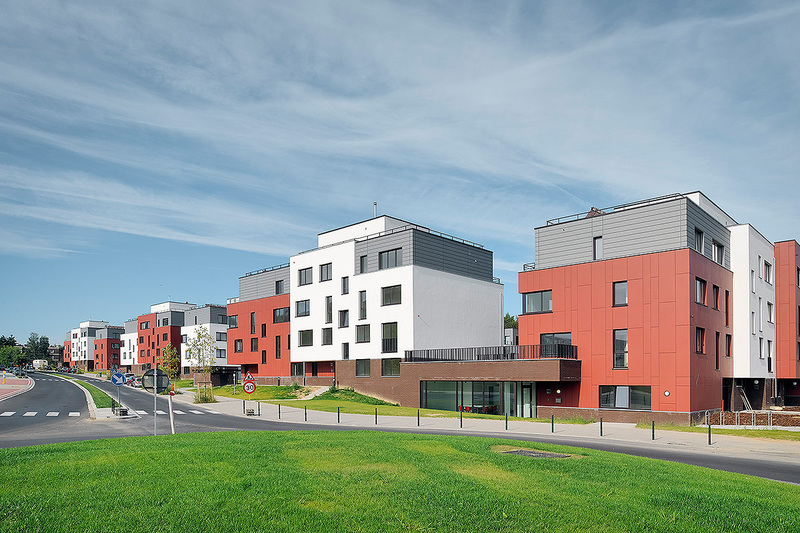 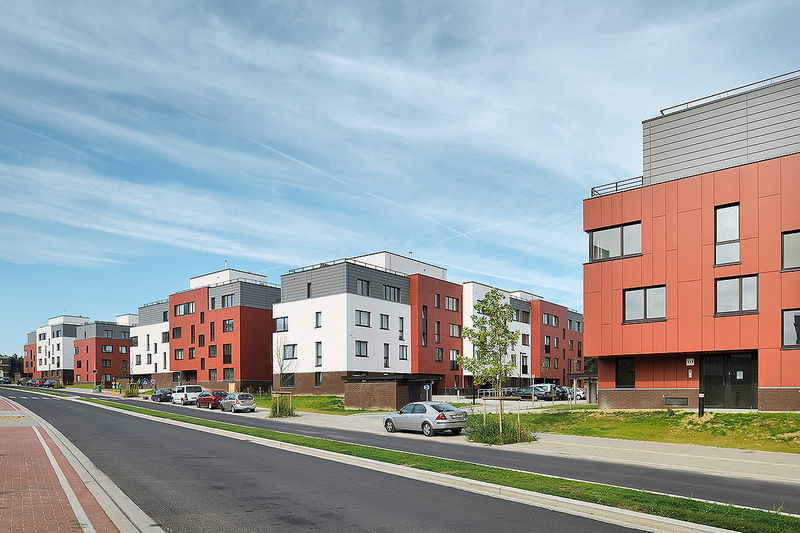 The Brussels CPAS (social welfare authority) is erecting new housing units along the Rue Bruyn in Neder-Over-Heembeek, in order to increase the supply of rental housing for middle-income families. 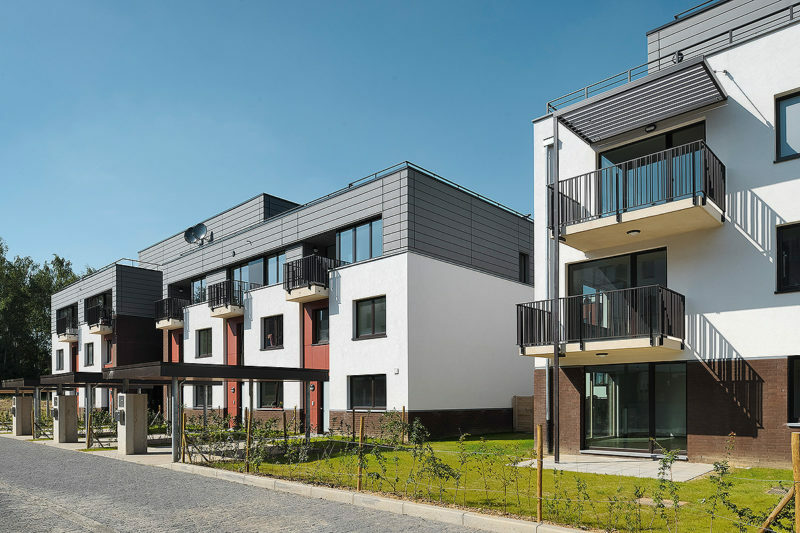 The project consists of 200 one to four bedroom apartments, in four ‘islands’, each organized around an enclosed area, and each opening at the rear onto the public park that will be laid out on the site. 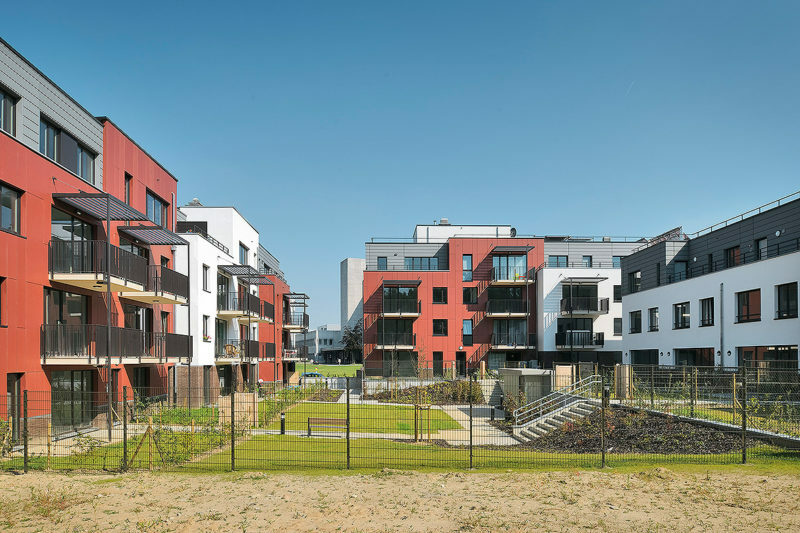 These are low rise three and four floor buildings, together with one eight floor building at the northern extremity, which marks the limit of the Brussels Region and forms an entrance into the city. 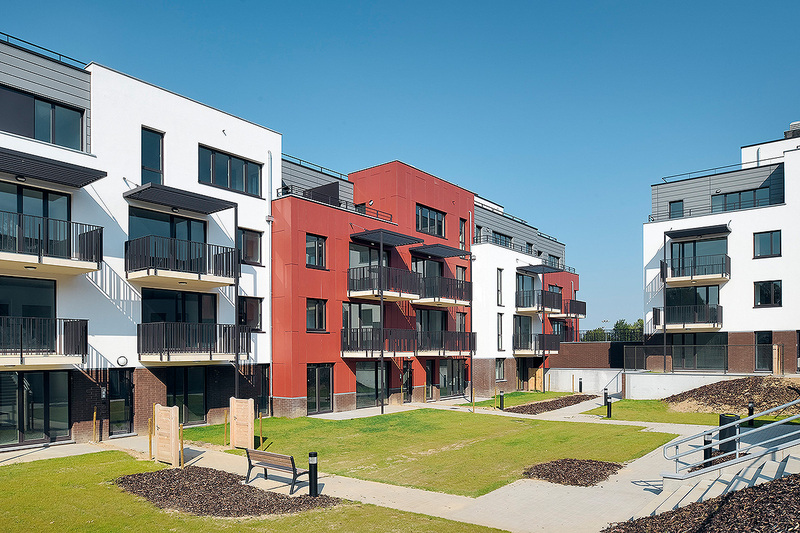 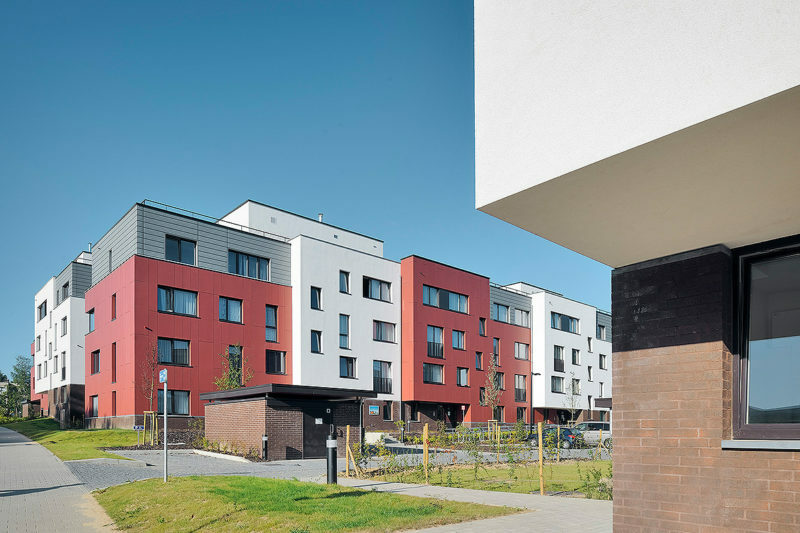 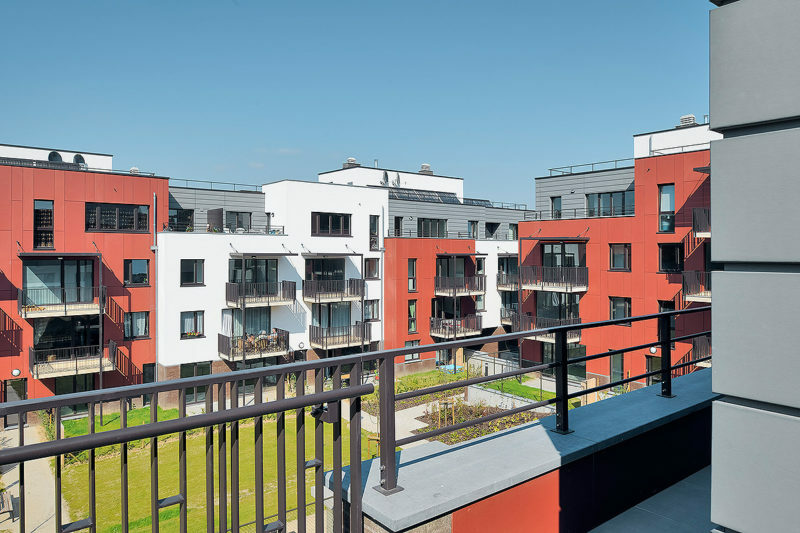 Each building is constructed to the very low energy standard, all apartments have a garden or a large private balcony. 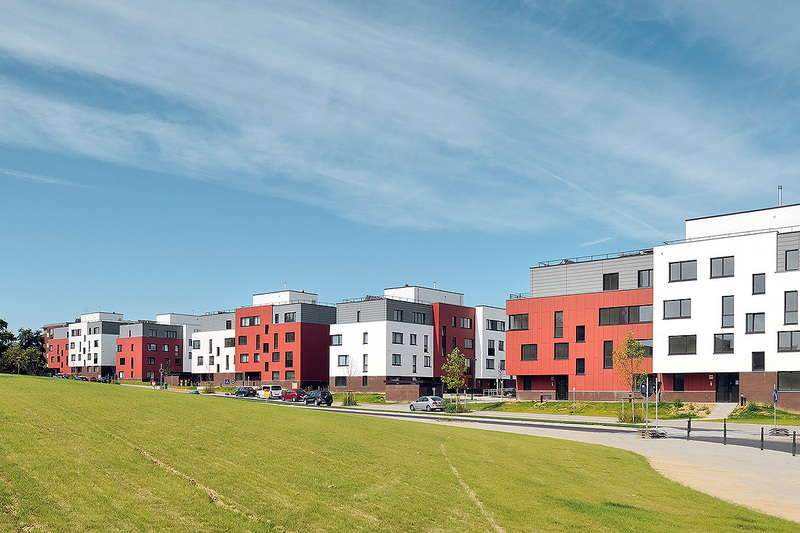 A multi-purpose community building is planned in the centre, along with two retail outlets.